Asma joined DWS in December 2012 as a work experience, after having graduated in Law and Business. She then went on to complete a Graduate Diploma in Law and her Legal Practice Course from De Montfort University. 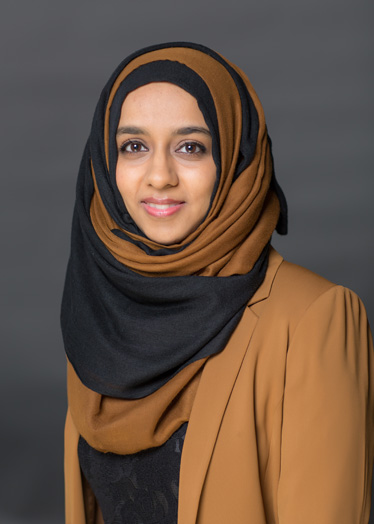 In February 2014, Asma joined the conveyancing department at Douglas Wemyss Solicitors as a conveyancing assistant, assisting fee earners in the property department in all aspects of a conveyancing transaction. Asma gained the skills and expertise required to progress to Fee Earning and now has experience in handling residential freehold and leasehold transactions. Asma then qualified as a solicitor in July 2017. Asma likes the variety and challenges the role brings, as no two clients are the same, meaning every day is different.